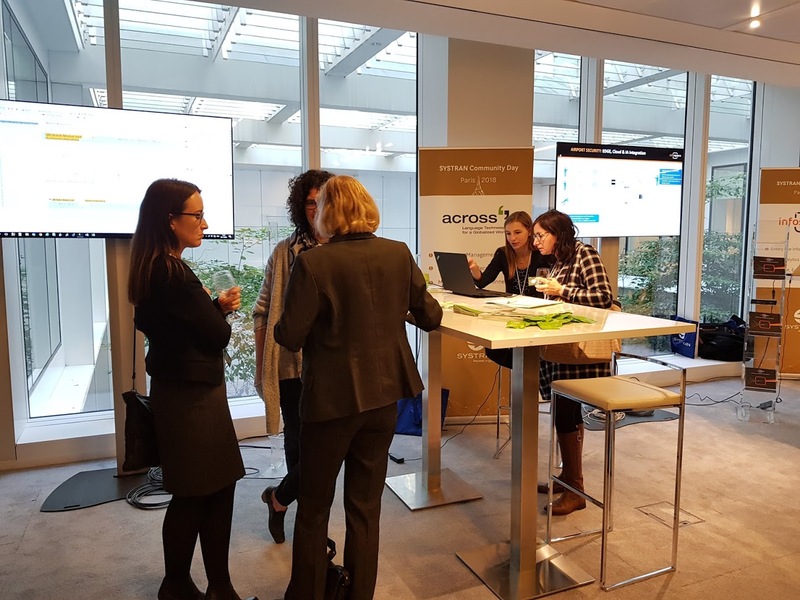 SYSTRAN Blog | This was SYSTRAN Community Day’18! First used by large corporations and government agencies, Machine Translation is now used more widely, with a forecast of translation volumes increasing by 67% over the next 3 years. 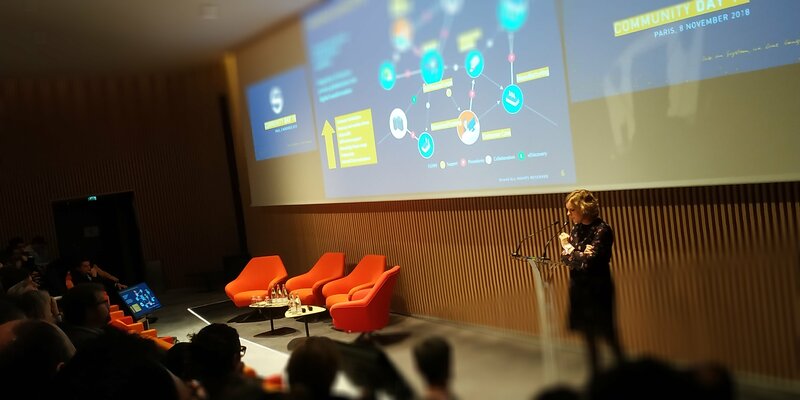 Gaelle Bou, Head of Sales & Marketing at SYSTRAN explained that this growth is boosted by digital transformation and accelerated globalization. SYSTRAN multilingual capabilities serve the majority of businesses’ departments including finance, HR, product development, customer care, marketing, etc… The morning ended on a Client Panel with PSA, INTERPOL and OMV Group sharing a return on experience on Machine Translation implementation benefits and challenges. 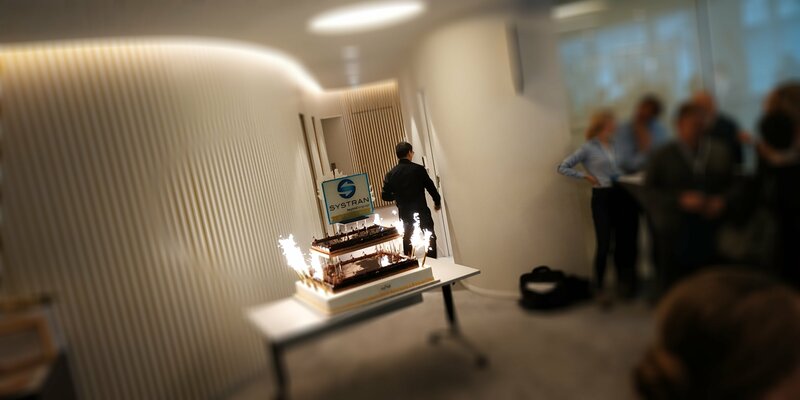 After lunch and SYSTRAN 50th anniversary celebration with a birthday cake, Yannick Douzant, Head of Product at SYSTRAN, revealed some of our latest integrations added to our connectors portfolio, such as Nuance Transcription Engine for voice translation and Abbyy Finereader Engine for OCR translation (non text translation such as PDF, JPEG, etc…). Another highlight was the announcement of SYSTRAN second generation of NMT engines, not only 15 to 30 times faster than the first generation and being the fastest NMT technology available on the market, but also outperforming all previous engines on quality with a reduced memory footprint. 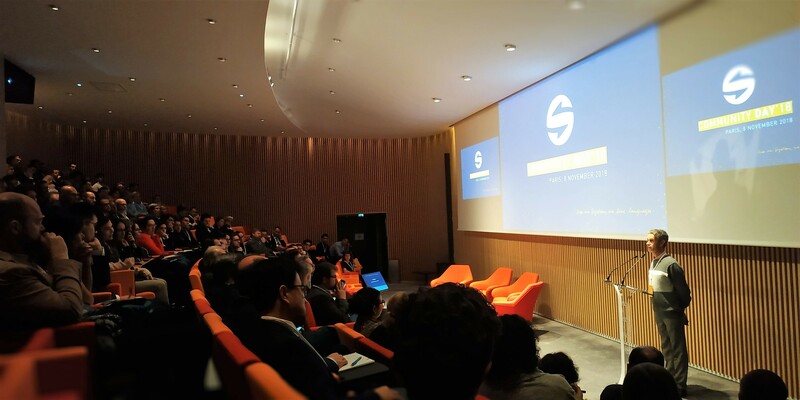 The European Cloud provider OVH, represented by Jean-Louis Queguiner, Head of AI and Big Data, presented the infrastructure behind SYSTRAN secured solutions, focused on scalability and privacy by design. SYSTRAN partners in the spotlight: Language Industry and Data Intelligence. SYSTRAN added value relies on the strength of its partner ecosystem. Across Systems, XTM International and Crosslang joined a lively partner discussion on the impact of Neural Machine Translation and the evolution of translators’ role from translation to edition. The prism of SYSTRAN solutions expands far beyond translation when tackling multilingual data intelligence applications with Infosquare, Bertin IT and ANITA project in the center of new use cases born with the introduction of Machine Translation technology in data management (event-driven applications for alerts, evidence extraction). Beyond NMT, towards a cross-lingual universal model? At the end of the day, Holger Schwenk, Researcher at Facebook gave an expert talk on Cross-lingual sentence representations. Unlike NMT models which are generally trained on data in a single language, cross-lingual sentence representations are building universal representations independant of the source language. This research breakthrough opens new applications and gives good perspectives to tackle the challenge of collecting data in low-resource languages. Overall, we had a great time! Thanks to everyone that contributed to make this SYSTRAN Community Day great ! This entry was posted in Announcements, Customer Success, Events and tagged Artificial Intelligence, Big Data, Language Technologies, natural language processing, neural machine translation, Systran Community Day by Gaelle Bou. Bookmark the permalink.